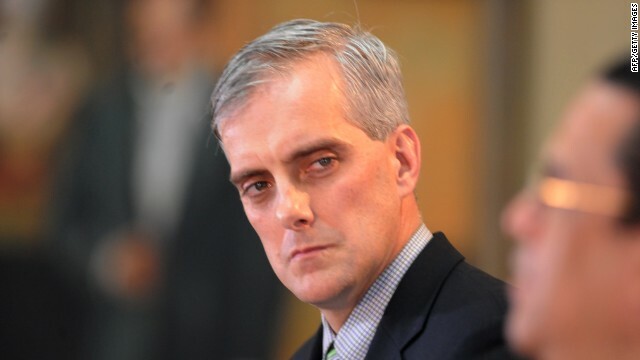 Washington (CNN) - President Barack Obama is expected to name Deputy National Security Adviser Denis McDonough as the next White House chief of staff, several sources familiar with the matter told CNN. McDonough would replace Jack Lew, who has been nominated for secretary of the Treasury Department. 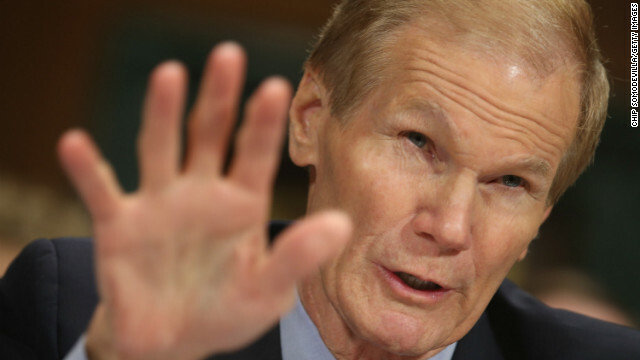 (CNN) - To make his point about invasive snakes, Florida Sen. Bill Nelson once brought the skin from a 16-foot Burmese python to a Senate committee hearing. Now, he's out to get one for himself. (CNN) - Despite supporters' hopes that this time it's different, President Barack Obama new call for restricting some semi-automatic rifles and high-capacity magazines will face deeply entrenched resistance in the Republican-controlled House of Representatives and could be a long shot even in the Democratic-led Senate. Any gun legislation sent to the House "is going to have to pass with most Democrats and a few Republicans," said Nathan Gonzales, deputy editor of the Rothenberg Political Report. 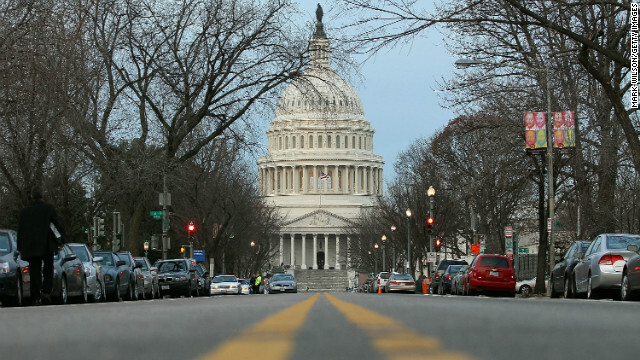 "This would be an even more high-profile bill." CNN's GUT CHECK | for January 16, 2013 | 5 p.m. DEVELOPING: OBAMA ANNOUNCES 23 EXECUTIVE “ACTIONS,” ASKS CONGRESS TO PASS GUN LAWS… President Barack Obama announced 23 executive actions on gun policy at a White House event today and urged Congress to pass gun laws that would require background checks on all gun sales, restore a ban on “military-style assault weapons,” ban gun magazines with capacities of more than 10 rounds and toughen penalties on people who sell guns to those who can't have them. 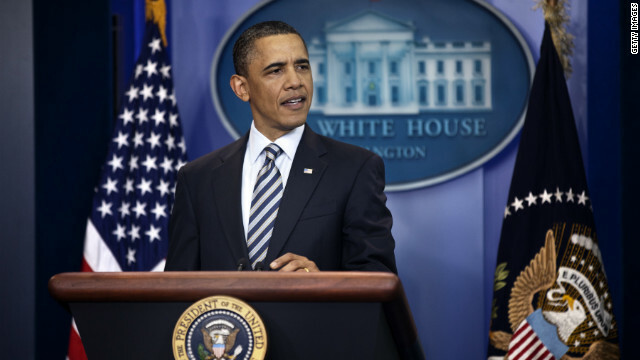 CAPITAL WATCH: CNN POLL: OBAMA AND BIDEN APPROVAL RISING… The president's approval rating stands at 55% in the poll, which was released Wednesday, with 43% saying they disapprove of the job Obama is doing in the White House. According to the survey, nearly six in ten approve of the job Vice President Joe Biden is doing, slightly higher than the number who approve of his boss. 'Universal background check:' What does it mean? 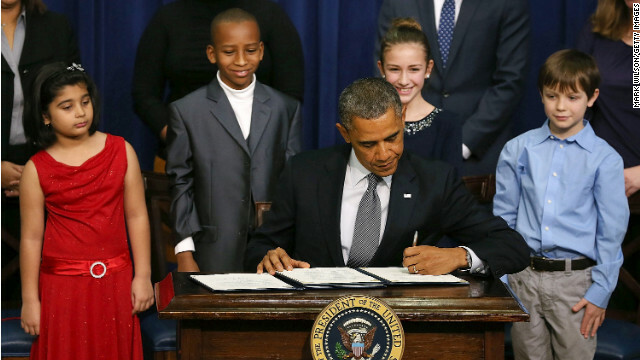 (CNN) - In an effort to stem gun violence across the United States, President Barack Obama on Wednesday signed 23 executive actions, which don't require congressional approval - some of which called for tougher enforcement of existing laws and required federal agencies to provide data for background checks. He also proposed background checks on all future gun sales, as recommended by a task force led by Vice President Joe Biden. But Congress would have to approve that policy. Washington (CNN) - House Democratic leaders in Congress are accusing the National Rifle Association of crossing a line with the group's new ad aimed at President Obama's gun control proposals. The spot calls attention to the Secret Service protection guarding the President's daughters at their private school in Washington, D.C. The ad goes on to echo the group's proposal for armed police officers at schools nationwide. Washington (CNN) - There is strong support from Americans for many of the proposals to curb gun violence that President Barack Obama announced Wednesday, but according to a new national poll, public support has slipped a bit when compared to surveys taken immediately after last month's mass shooting at an elementary school in Connecticut. A CNN/Time Magazine/ORC International poll also indicates that Americans generally favor stricter gun control and think that it is too easy to buy guns in this country, but they don't believe that stricter gun laws would reduce gun violence all by themselves.